For this post I figured I would share with you guys my main distraction during the downtime of the RX-8. 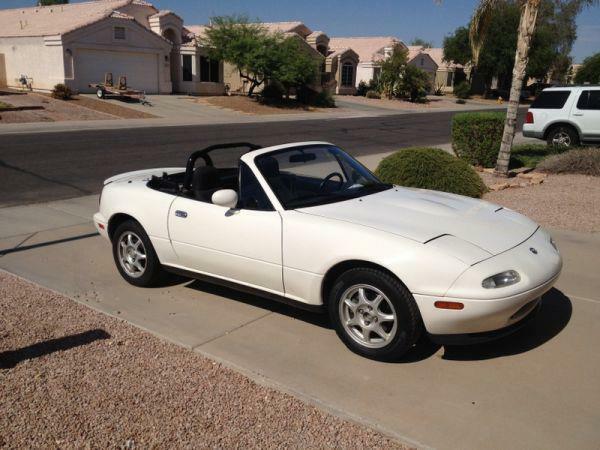 A 1994 Mazda Miata R Package with 104k miles on the clock, bone stock except they had added in power windows and an aftermarket head unit. The R-Package comes with front and rear lip, rear spoiler, upgraded shocks/springs/sway bars from the factory and also has factory LSD and no power steering. Only about 1,200 were made in 1994. It had previously been a summer only car in Colorado and used to belong to the guys mom. Here's the best part about this car... SHE HAD IT SERVICED EVERY 5,000 MILES AT FLYIN' MIATA... so the car was in impeccable mechanical shape, it didn't even have the famous Miata HLA tick so we snatched it up only 8 hours after it had been posted on craigslist. The guy got 4 other offers over the phone while we were there checking it out for more than asking price ($3500) but thankfully he was a stand up guy and took the asking price which we had offered over the phone only an hour before. Now you may be thinking, "Hey Arca, you're a pretty big dude... how the hell do you fit in there? And isn't your dad too big for it as well?!" 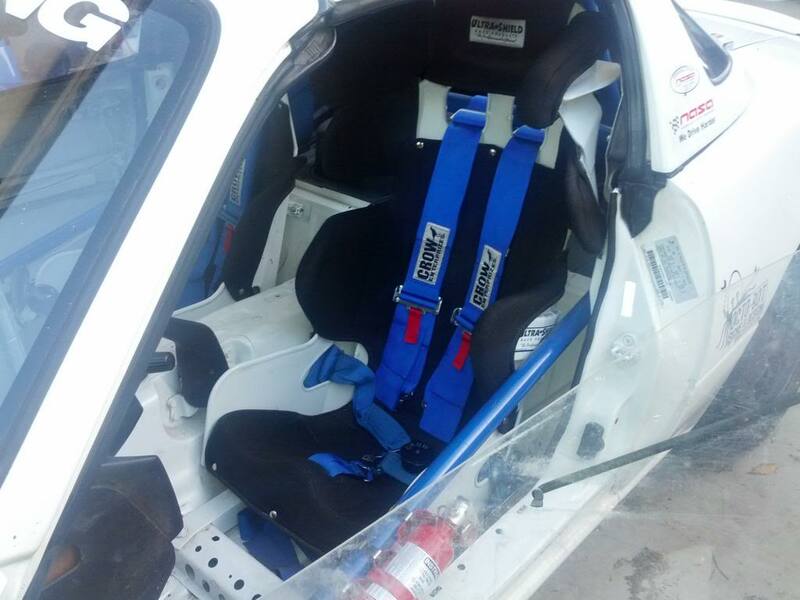 The answer is with patience, a big ******* hammer and thin aluminum seats that are bolted straight to the floor and rest against the rear firewall. My dad is 6'2" and fits a little better in there than me, but I can still drive it comfortably. It makes 130RWHP @ 7,200RPM and 104RWTQ @ 4,600RPM on a Dynojet. It weighs 2100lbs even with 1/2 tank of fuel. Those power numbers are with the timing at 16*BTDC, we backed it off to 12*BTDC so that it knocked it down to 125RWHP so that we could stay under our HP cap of 128RWHP for competition in NASA TT-E class. 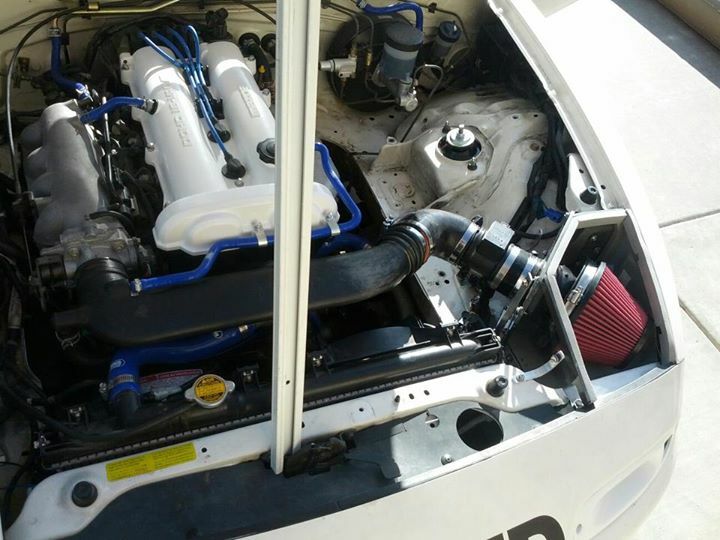 It is also eligible for Time Attack A Class since with driver it has around 18.8lbs/HP. 949 Racing 6UL Wheels 15x8"
Mods on deck are some Prosport Gauges, Oil relocation, and Mishimoto Oil Cooler with thermostatic sandwich plate. Anyways here's some pictures of how it sits now. Last edited by Arca_ex; 12-05-2013 at 12:01 AM. 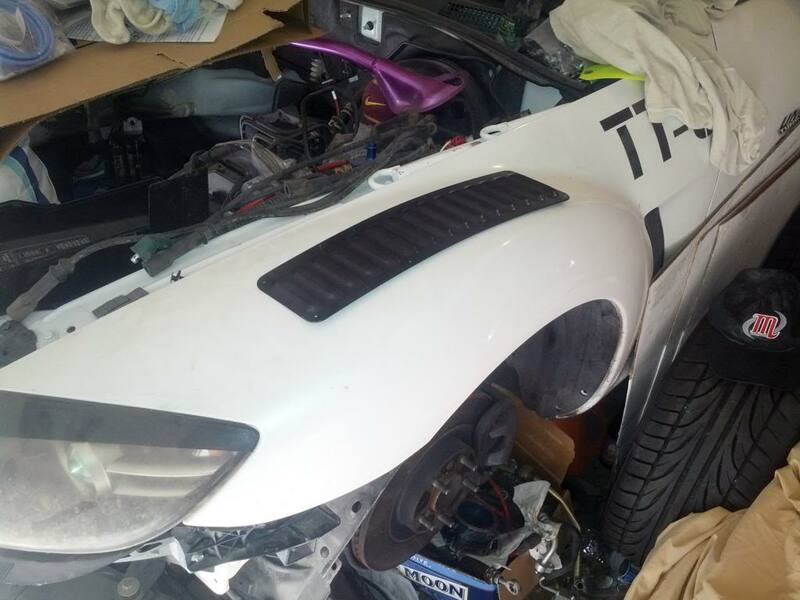 So now that we're all caught up, here's a run down of how the car sits, and then a run down of all the parts and modifications going into this iteration of the ongoing Time Attack Build, as well as a couple of pictures of some of the more interesting parts that I've amassed. 17x10" +38 Enkei RPF1's, need some more of these. 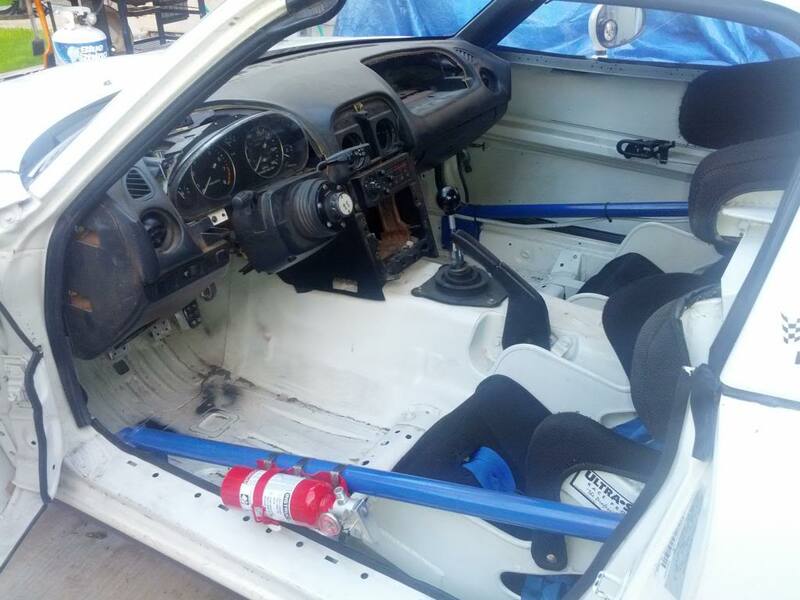 More weight reduction, gutting doors, cutting out rear speaker deck, etc. The big ****. 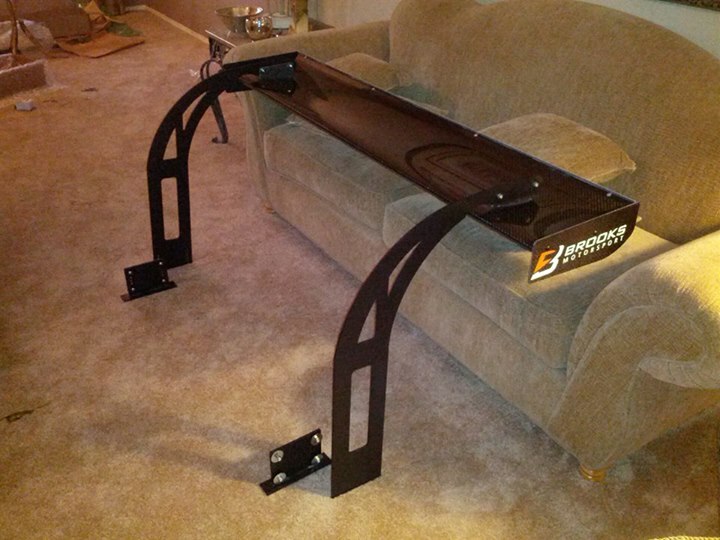 Most of the mount will be inside the car, it bolts directly to the chassis inside the trunk area. It will go through the rear quarter panels. 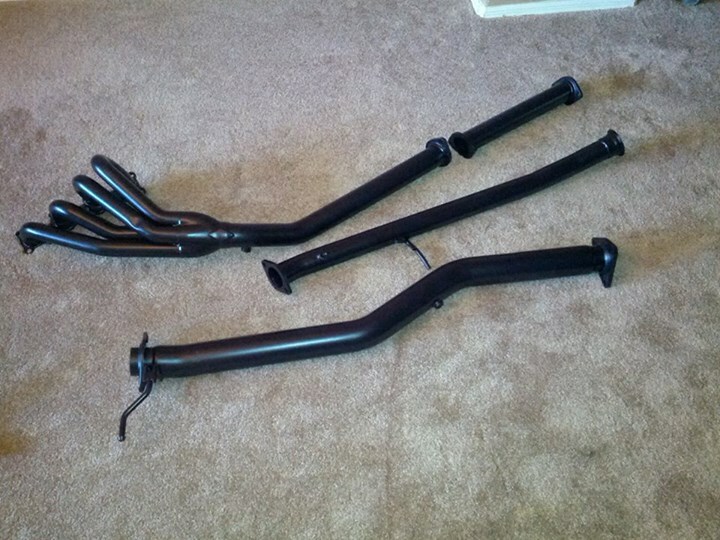 Here is the midpipe coated, ignore the parts on the top, those are Miata exhaust parts. 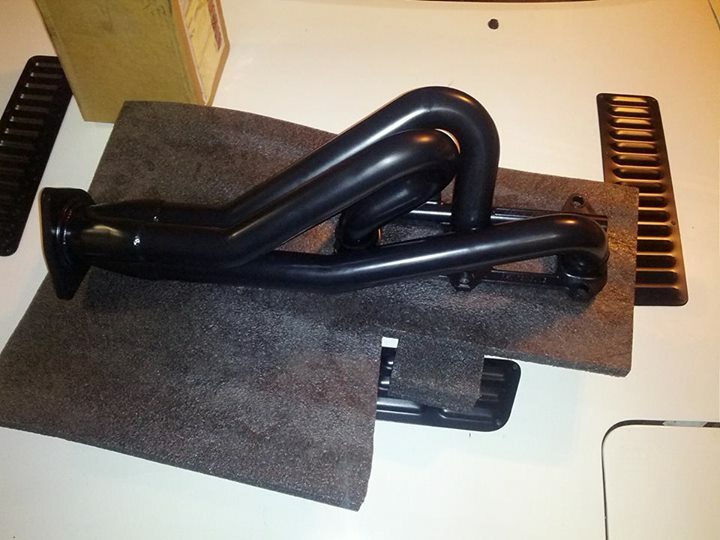 Header coated. Will probably extend the runners later. 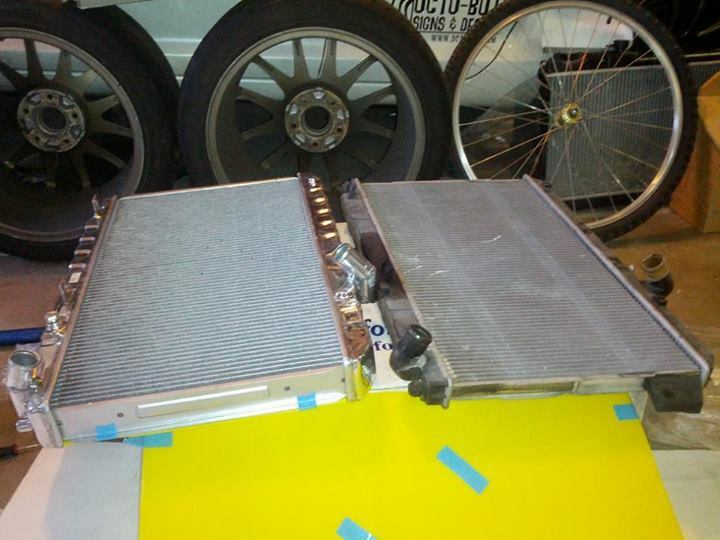 CSF Radiator vs. Stock. Almost twice the thickness. Dual row single pass. 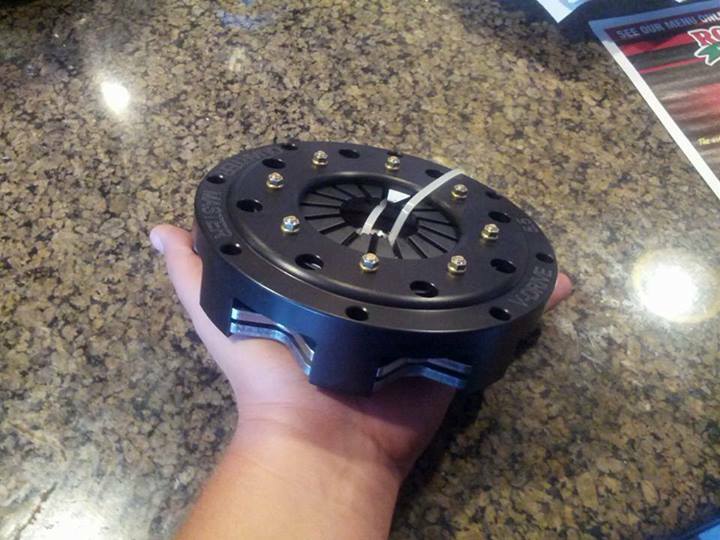 Quartermaster 5.5" Twin Disk Clutch, weighs 5.6lbs and holds 600ft/lbs torque. 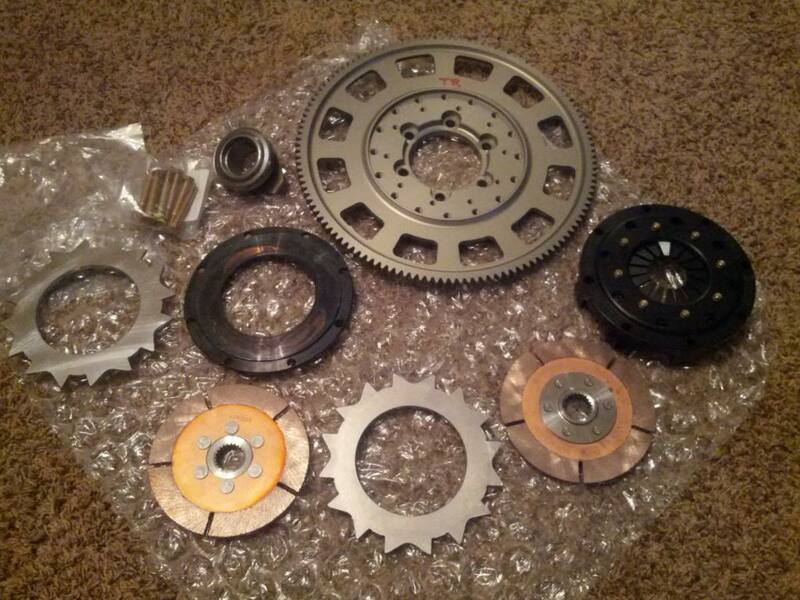 Flywheel and assorted hardware as well as the clutch unstacked. 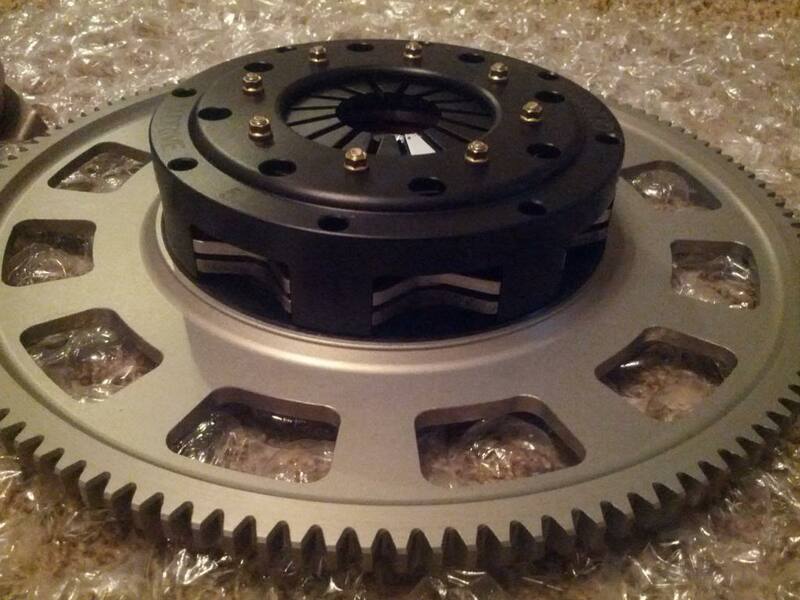 Entire clutch and flywheel assembly together is 10.35lbs. Last edited by Arca_ex; 12-11-2013 at 03:45 PM. I ended up piecing together everything for about 1300 not including a counterweight. Pricing info is available here, but some of those parts can be had cheaper elsewhere. This is pretty much a track only setup. Car still treating you well? Bet it's a blast to drive in the snow haha. 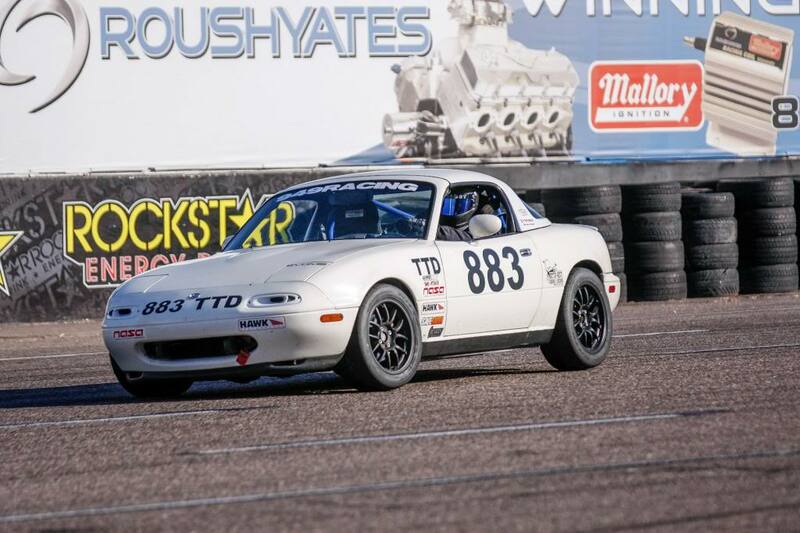 It's time to dump those powertrix coilovers and buy something serious given the level of the other modifications! They've actually been great so far and after seeing shock dynos I'm actually pretty impressed for the price point. That being said I have worked out a partnership with another company to get a more track only oriented coilover setup with much stiffer rates and specific valving. Looking at possibly around 16k front and 12k rear. Not really sure yet. Well most cantilevered systems are run because of packaging constraints or weight distribution or aerodynamics in the case of open wheel cars, the advantages wouldn't be massively superior in my application, just slightly better. I just think it looks cool too, I love looking at fab work and what people come up with. -Lower unsprung weight because you can invert the shock mounting, meaning that the spring will not have to move the body of the shock, only the pushrod and shock shaft which are much lighter, but this can be accomplished with inverted shocks anyways so not too big of a deal. -Greater tuning ability since now you can play with bell crank angles and ratios. -You can use lighter and smaller shocks and springs and just use leverage to multiply their force. 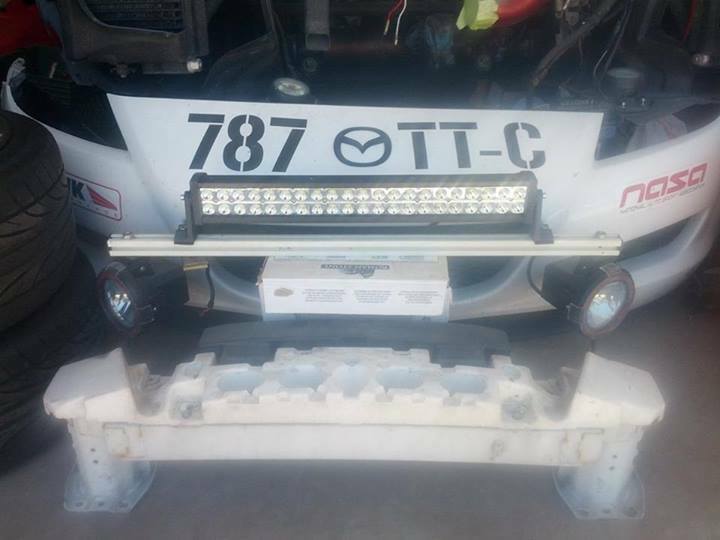 -Weight gets moved inboard, you can also have them flipped towards the front or the back for slightly better weight distribution. -And it looks badass I guess. The only problem of such systems is the R&D involved to make them efficient on a specific car. You can't just slap them in there and expect them to outperform a common shock system. Another option is to build a push rod system by not keeping the shocks perpendicular to the car. You could place them lower in the trunk while having them point to the nose. That's an even better setup but it gets messy and torsion bars for such setups are real engineering masterpieces. Definitely not something a non-engineer can build and design. Some GT teams make pushrod suspensions by just placing the shocks horizontal and under the wheel wells, not inside the trunk. This system is a little less efficient but way easier to cope with. Im actually going to order myself some swift springs for my GR+, My competition driving does not warrant anything better than Stance's GR+ (at this moment) What spring rates would you recommend? They're only more sensitive to tuning if you don't use a 1:1 ratio on the lever. Even then if you do change it, it's just simple math and things you change are just amplified by a set factor. Fabbing something like this up doesn't look too difficult it's just math and making sure you're dead nuts on your measurements on both sides. And yes, definitely excited for all the changes. If you want to change them to be a little more track oriented then you can increase spring rates by 1kg/mm if you really wanted. The valving won't handle much more than that. Personally I would just save the money to use towards something else, swift springs aren't cheap and changing rates to stiffer ones by only 1kg/mm isn't going to make a huge difference especially if the valving can't really handle it anyways. Got some more louvers from GenRight.com for the fenders. They're pretty pliable so I'll be able to bend them in order to get a good contour. These are the same type as on my hood. I was also thinking of adding more to the hood as well. Here's a picture of one sitting on the fender. 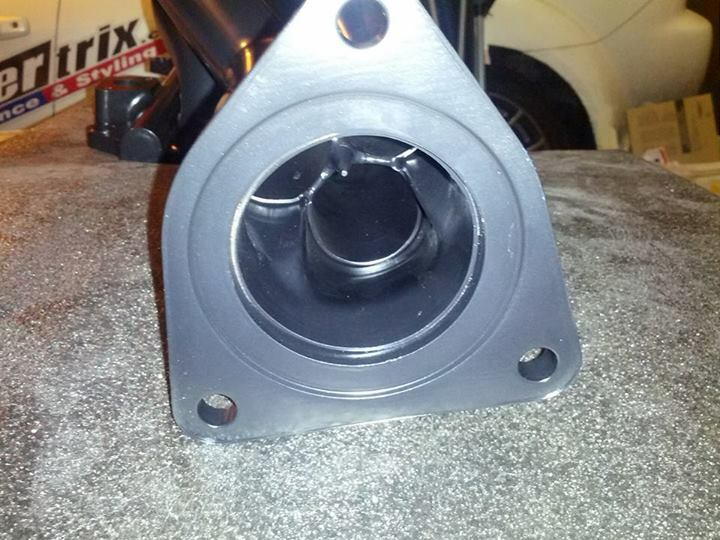 do you have brake cooling ducts? Man I just wanna say this thread is great. Keep updating and when are you getting your engine rebuilt? Any porting? I'm tearing it down slowly right now and taking pictures etc, then I have a week off for Christmas and it's time to get some **** knocked out on this project. I have to drive all the way to Ohio with one of my buddies to pick up an NSX he found dirt cheap next week so that'll put things on hold a little. I'm rebuilding it myself with some help from experienced locals, I'm using all OEM parts, am going to use Racing Beat street port templates. I was considering getting the lower intake manifold Extrude Honed but it's too expensive right now (700 bucks not including shipping). I have a spare LIM that I might send out to try later. I'm also having Freelance Motorsports CNC machine the housings and a local company here called SuperFinishers Inc. will be lapping the irons so they are flat within 50 millionths of an inch. 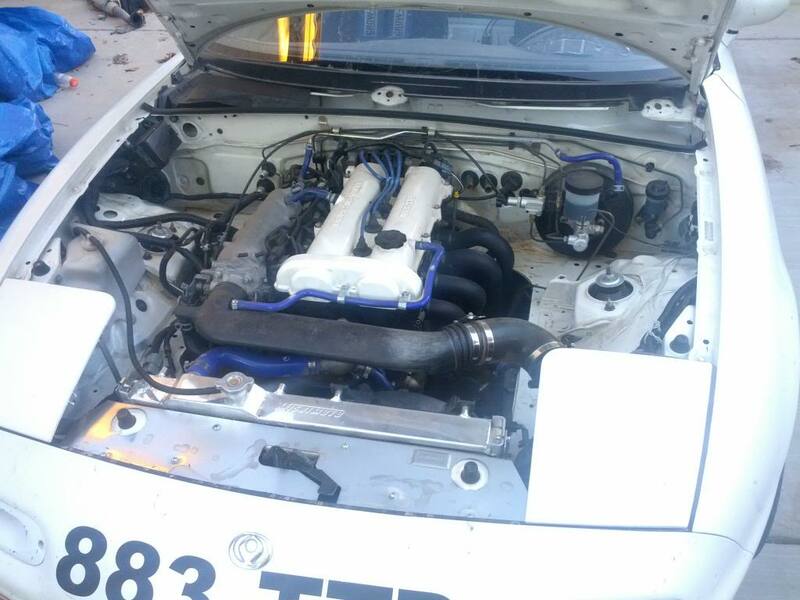 I am really hoping to make 220WHP but you know how the Renesis is... the only other things I can think of (within reason) if I don't make my power goal is extending the header into a longtube unit, converting to an electric water pump and extrude honing the lower intake manifold. He found a nsx in Ohio? Surprising. But that is great news. I didn't realize getting the intake honed was that expensive damn. but good luck to ya and can't wait to hear back. Also you should post pics of nsx. 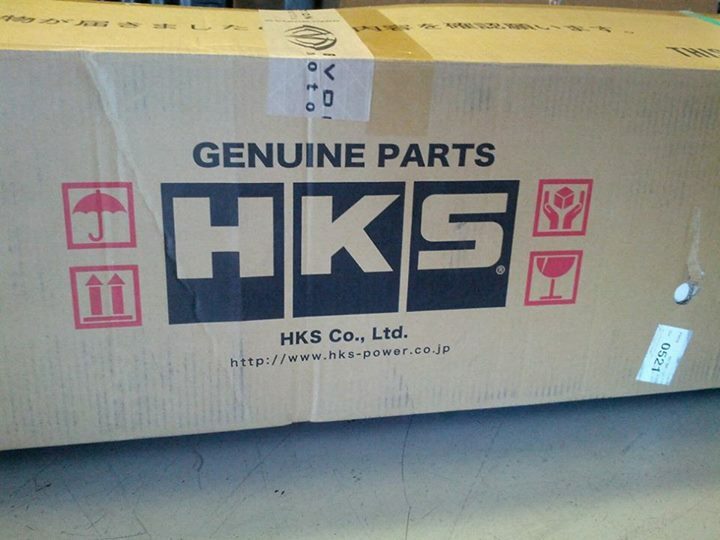 It's a roller with the engine and trans on a pallet. Nothing pretty. He already has one and he's buying a second to turn into a wheel to wheel race car. Will be following this with great interest, GL! Arca, good to see you putting in the time to bring your project to the forum. As we say in NZ, Chur bro! RE additional WHP, check out this thread, and go to the bottom of the page and click on RIWWPs link to the Eric Meyer 233rwhp thread. The transmission and diff treatment may assist with a few extra ponies.